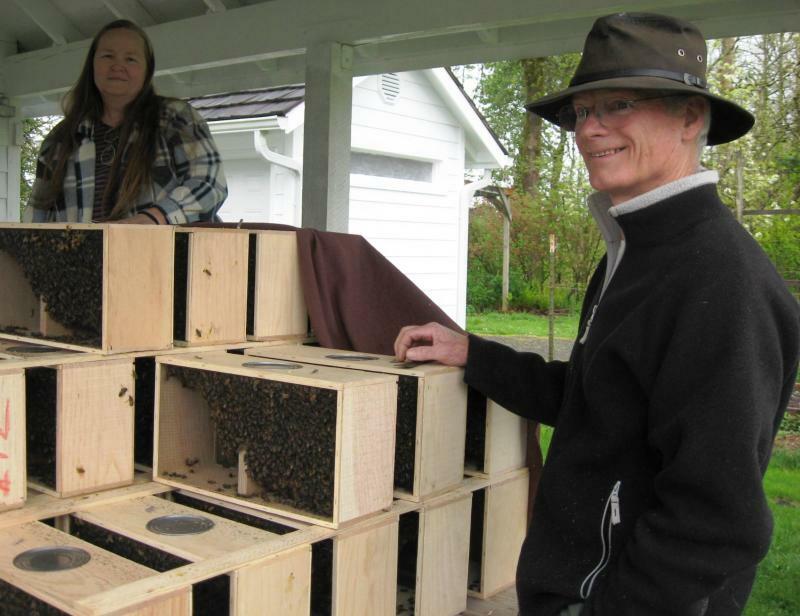 On April 19, LCBA distributed 106 packages of bees to members - that's an estimated 1,280,000+ new bees for Lewis County apiaries! 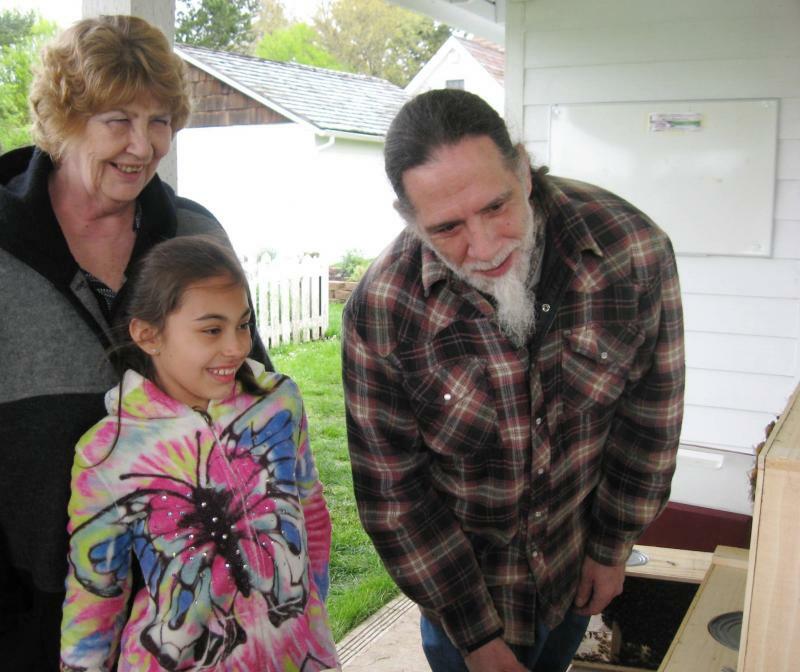 Thanks to LCBA President & Vice President Norm Switzler & Dave Gaston for driving up to Lakewood to pick up the girls (& drones), to member Renzy Davenport & Treasurer Jon Wade for organizing the order, and to Membership Coordinator Tomme Trikosko, Secretary Susanne Weil, & the volunteers who helped with distribution. 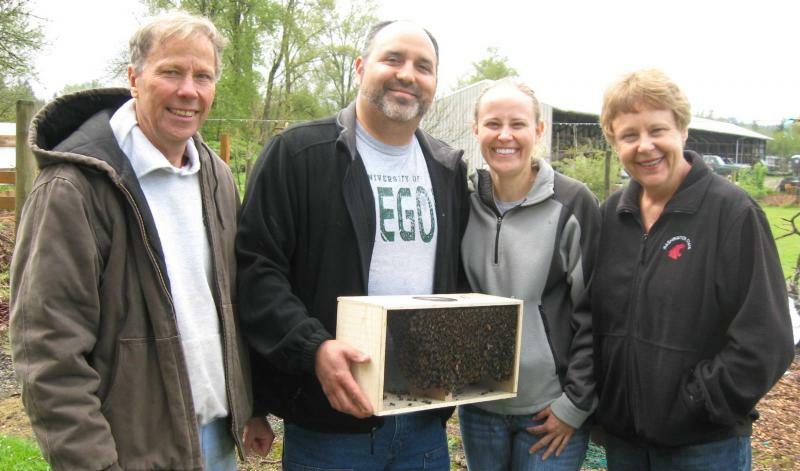 Below, photos of members & their new bees. 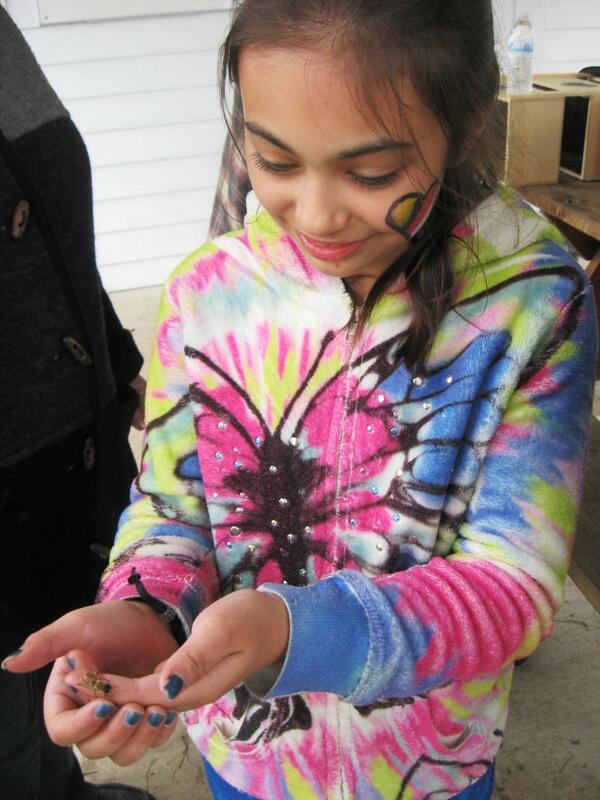 Happy Hiving to All! 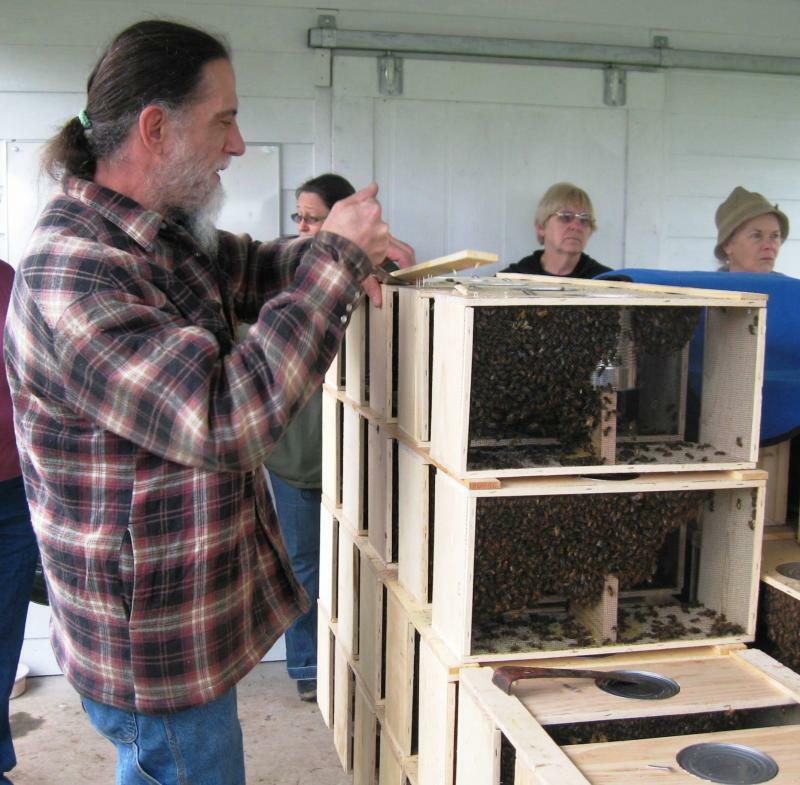 For tips on how to hive your package bees, click here. 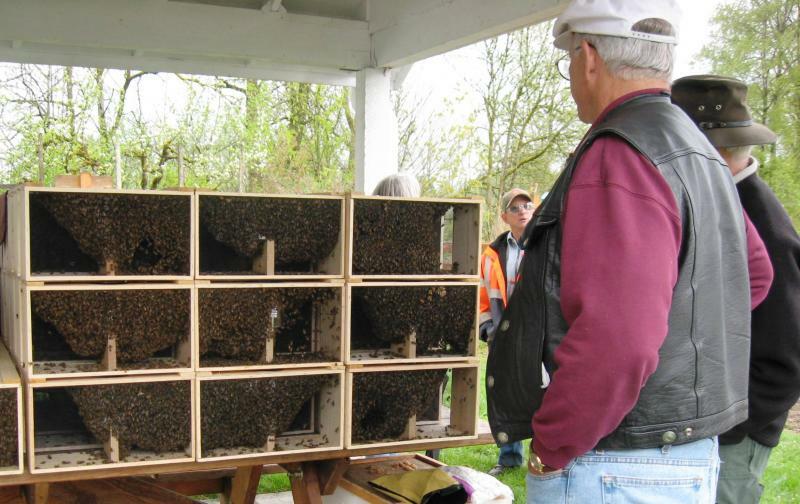 Above, members survey packages of bees stacked up at the Master Gardeners' demonstration garden in Fort Borst Park, Centralia. 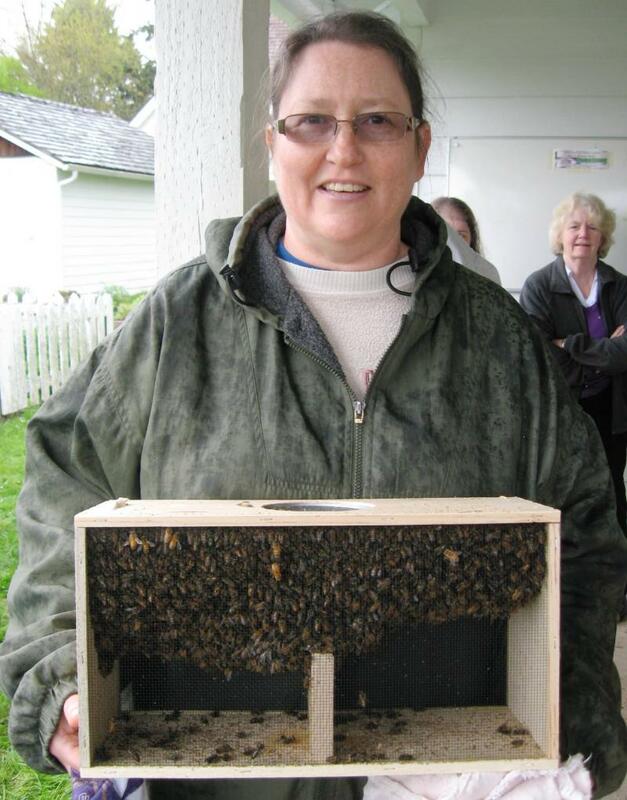 Each package contains about 10,000 bees - hard to bee-lieve from the size! 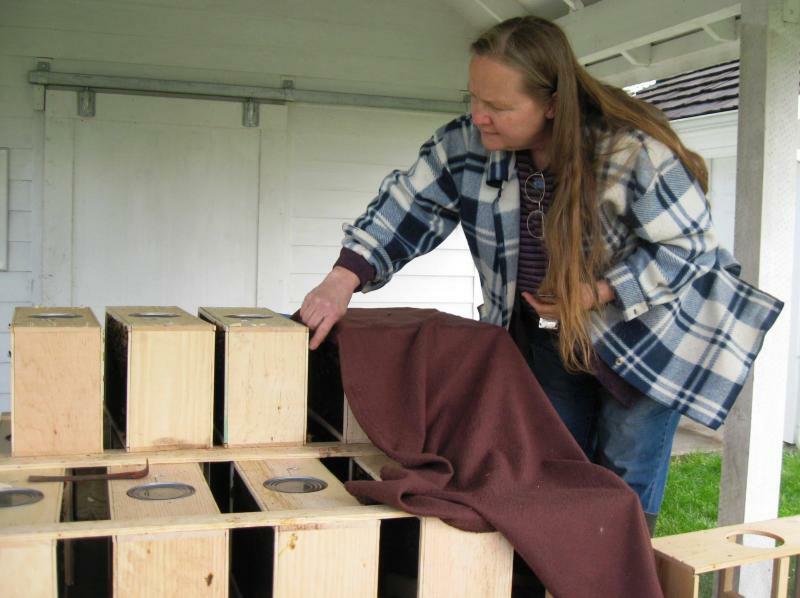 The queens - of either the Apis mellifera liguistica (Italian) or Apis mellifera carnica (Carniolan) races - are selected in the breeding yards & inserted into special queen cages; workers & drones are then swept into the packages along with them. 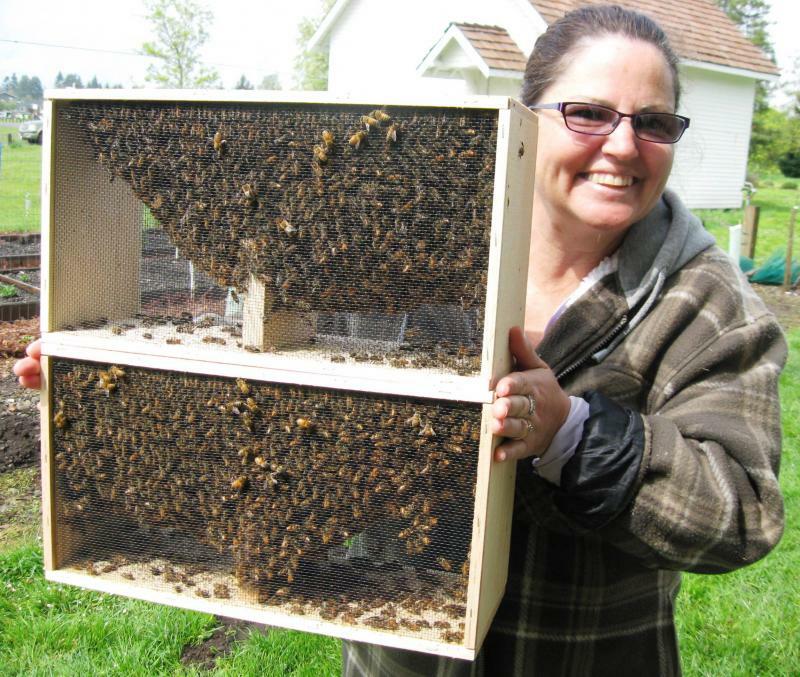 In the photo above, workers & drones are clustered around the top of the box, where the queen cage is, suggesting that her pheromones have "claimed" them. 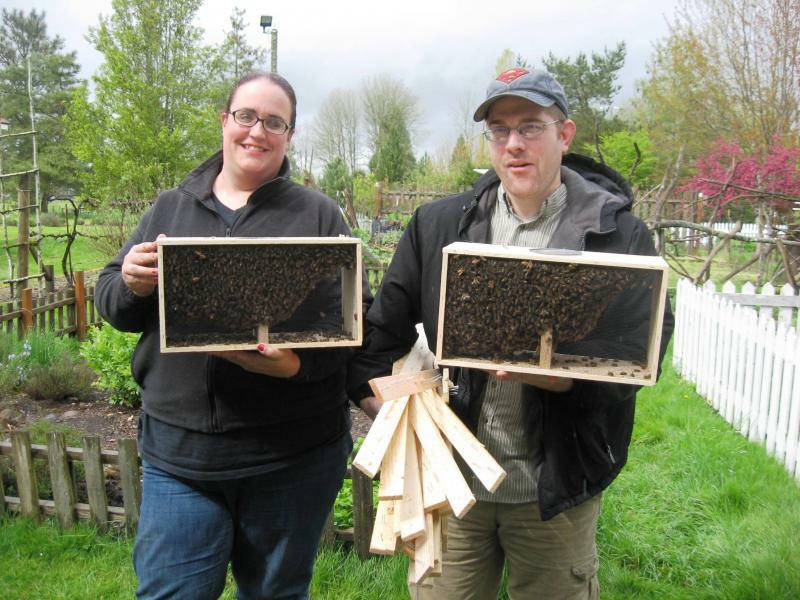 Above, Fall 2013 LCBA members Cody & Linnea with their new bees. 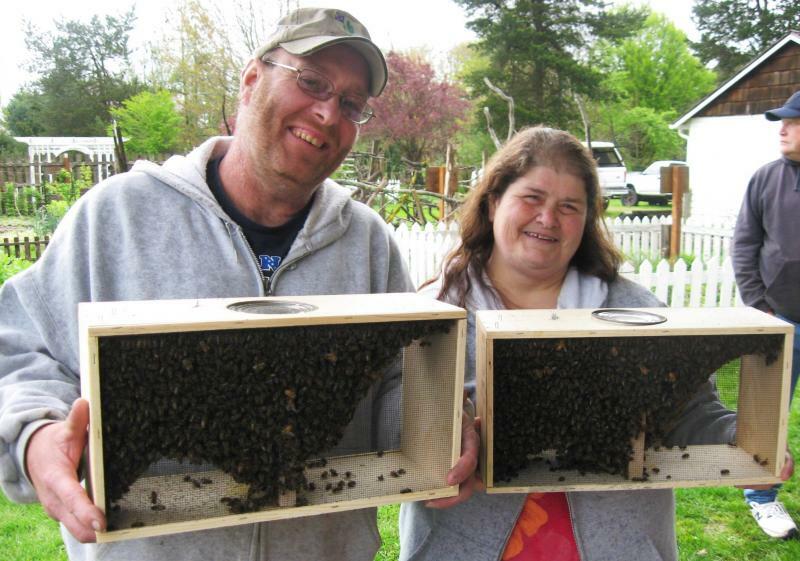 Above, Spring 2014 LCBA Apprentice Class graduates Dennis & Joanne with their first bees - a package of Italians, a package of Carniolans. 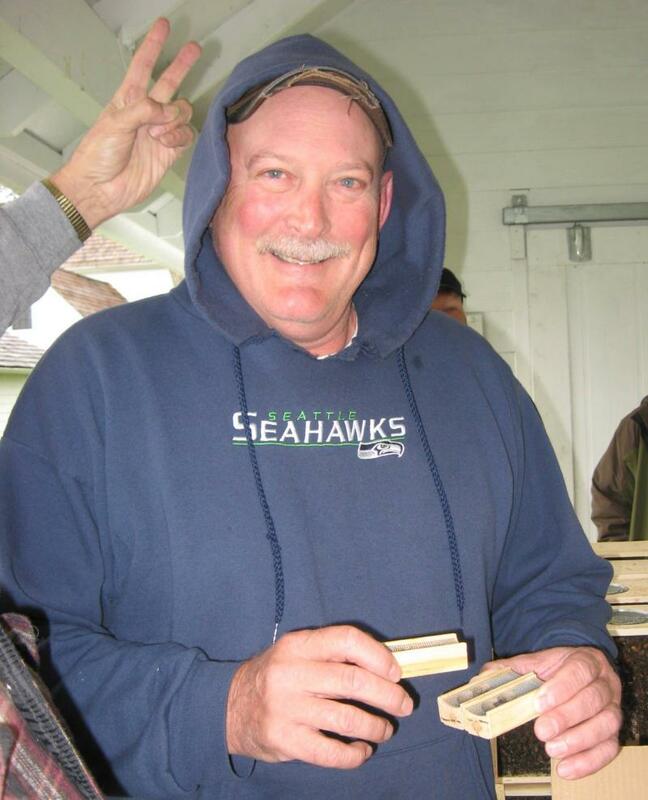 Carnies are becoming increasingly popular in our cold wet Southwest Washington climate! 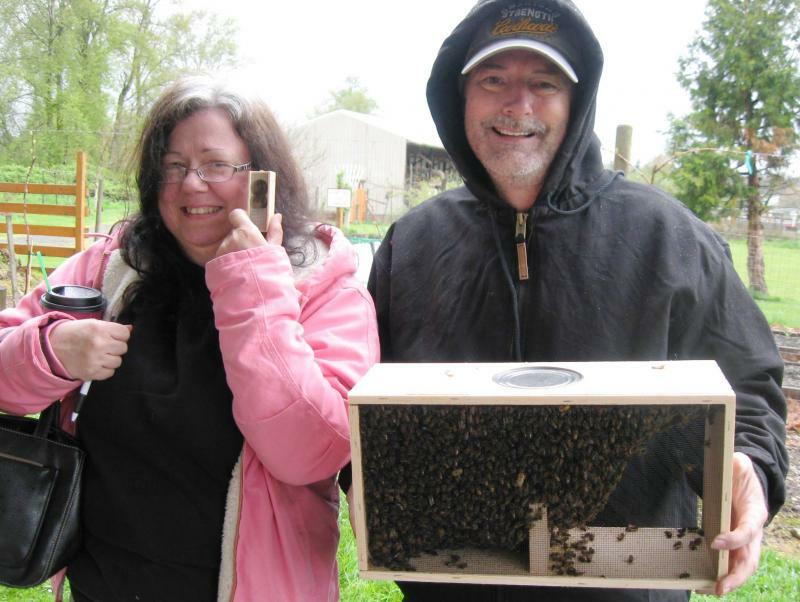 Above, LCBA Membership Coordinator Tomme Trikosko & member William Pittman help out with package bee distribution; below, members Sherri & Randy with their new bees - & a new queen in her royal traveling cage to re-queen one of last year's colonies. 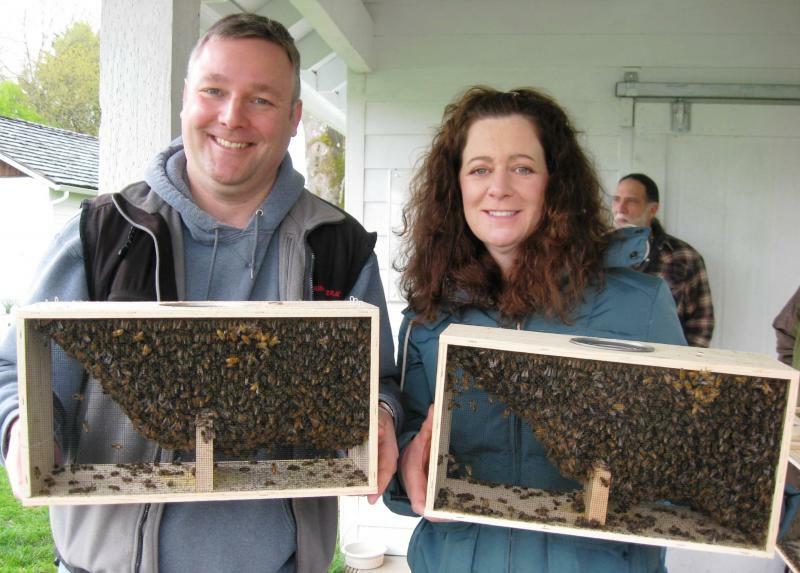 Above, new member Patricia & her new bees; below, 2nd year beekeepers Jen & Matt Taylor bringing home Carnies & Italians.